Check also if you are using the latest available version of ActivityMon. For more information on it see How To Update ActivityMon chapter. If the update did not fix your problem try to isolate problem and find out the steps to reproduce it. To solve your issue we need to know how to reproduce it. If there will be any error message shown to you send it to us, please. The best way how to do it is to press Print Screen key and then paste the data into some graphical editor. Technical support related to ActivityMon products can be obtained through support@activitymon.com e-mail address. We have provided builds with reporting utility to simplify reporting process. 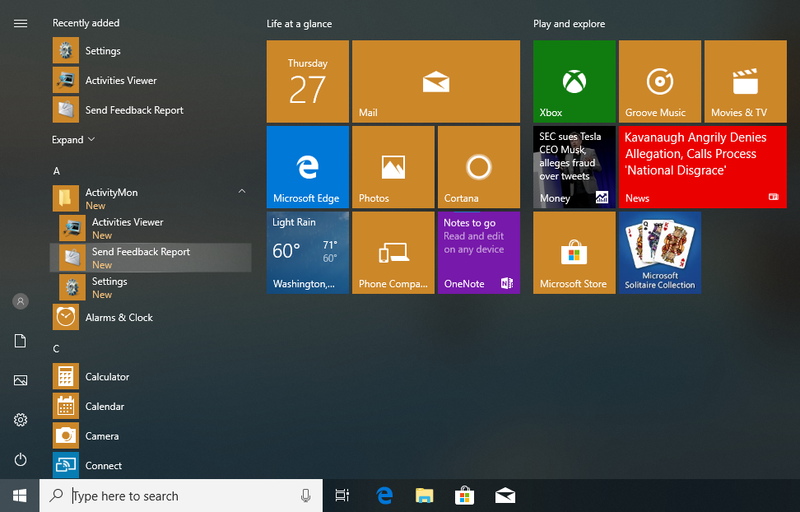 If you want to send as feedback report (we will be glad for it) select its icon from Start menu. Then you can create ZIP file with the application log files and invoke your favorite e-mail client. 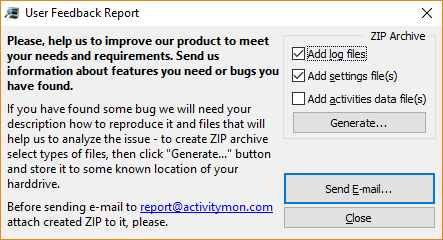 Attach created archive to the e-mail and send it to report@activitymon.com.